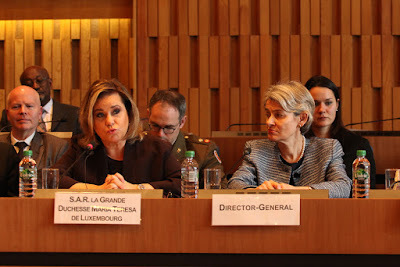 Grand Duchess Maria Teresa participated in International Women's Day on March 8th, in her role as a Goodwill Ambassador for UNESCO. She was active in a roundtable event that focused on the role of women in responding to, and preventing, radicalization and terrorism. 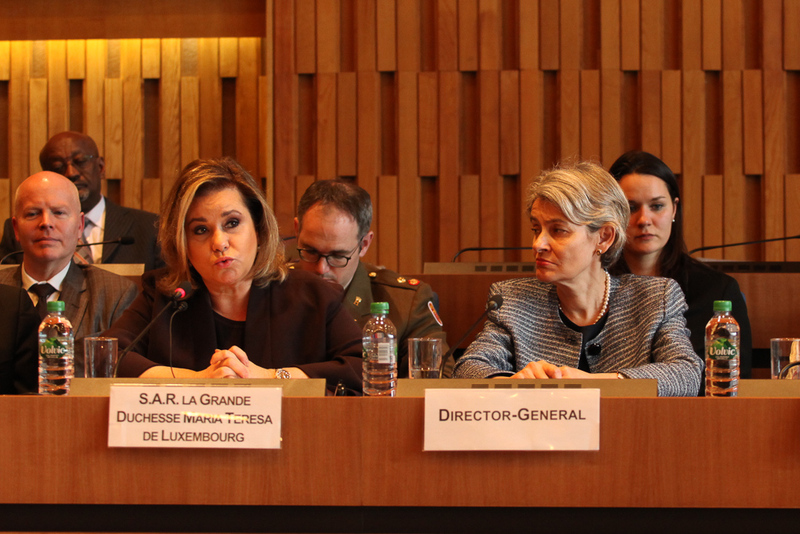 Irina Bokova, the Director-General of UNESCO, chaired the roundtable, which also included such recognized experts as Dr. Feride Acar, Hanaa Edwar, Yosra Frawes, Jayne Huckerby, and Mina Kaci. The Grand Duchess, in particular, spoke against the radicalization of young women. Also, Princess Tessy's event in Geneva wasn't her only event for Monday. 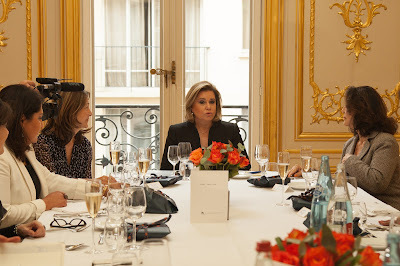 She and Grand Duchess Maria Teresa were at a lunch in Paris to mark the start of the symposium "Les femmes acteur de paix dans le monde" which will be held next year in Luxembourg. The luncheon also included the invited ambassadors for the symposium: Maggy Barankitsee, Albina du Boisrouvray, Chekeba Hachemi, Irène Frain, Frédérique Dedet, Ingrid Betancourt, Adélaïde de Clermont Tonnerre, Valérie Expert, and Sarah Doraghi.